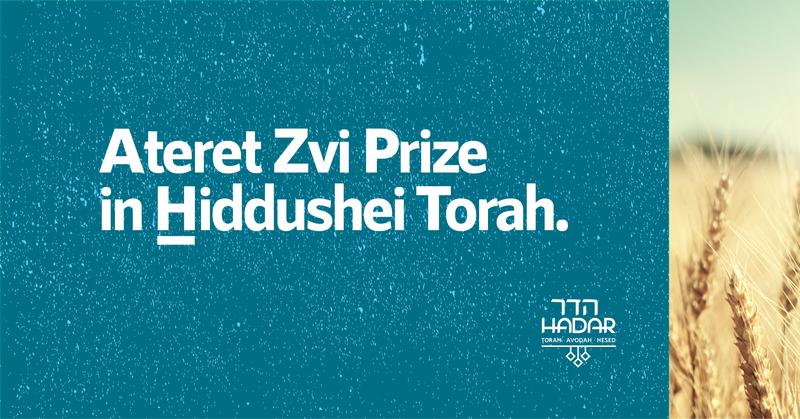 The Ateret Zvi Prize in Hiddushei Torah, launched in 5778/2018, recognizes a work of innovative and exceptional Torah scholarship. The prize is endowed in loving memory of Professor and Rabbi Zvi H. Szubin, a lifelong scholar and teacher who uncovered rich insights buried in traditional texts using legal, historical, and linguistic tools—an approach he termed “text archaeology.” The competition aims to inspire scholarship and innovation in the study of Torah and is open to all. In 2018, we received more than fifty submissions of amazing Divrei Torah. Our winner was Akiva Mattenson, for his piece, “Out Beyond the Sea," a powerful theological reflection based on a close reading of rabbinic texts exploring divine absence. Read Akiva's essay and 12 other standout submissions here. Submissions must be 1800-4000 words and should be in the form of a dvar Torah, sermon, or a lesson that could be delivered to an engaged, communal audience. Content guidelines are as follows: Submissions may be in English or Hebrew. However, any winning Hebrew submission will have to be translated into English. If there are any associated costs with the translation, it will come out of the prize money. Submissions should take up a close analysis of a Biblical or classical rabbinic source. The focus can be a weekly Torah reading, a passage or theme in Tanakh, a piece of liturgy, a Talmudic sugya or a classical midrash. Texts should lie at the center of the presentation and they should be probed in detail. Prior interpretive traditions should be carefully considered and either explained in a new light or contrasted with an original alternative offered by the author. Presentations should be framed for an intellectually engaged and religiously-oriented audience. Academic approaches and methods are encouraged to the extent they enhance understanding of the texts under consideration, and Professor Szubin was fond of drawing on lessons from art, comparative religion, archaeology, literature and linguistics. Ultimately, though, submissions should deliver religious insight to those reading and listening. In other words, a successful submission will not only address a textual problem with rigor but also offer thought-provoking implications for Jewish learning, thought and/or practice. Such implications should be made explicit, showing how we might apply the submission’s insights to the study of Tanakh, halakhah and Jewish practice, hashkafah and theology, liturgy or other Jewish fields. All submissions must be original, never having been shared in print or in digital media—including social media posts—in the past. If you are a rabbi and have shared a sermon from the pulpit, it can still be submitted. If you have published the piece on your personal or synagogue website, you may also enter it so long as it is substantially re-worked. Submissions for the 2019 Prize are due June 30, 2019. Please submit via this form. Submissions will be judged by a special committee of scholars assembled by Hadar. Judges will assess submissions based on the quality of the presentation, the strength of its scholarship, and the power of its religious insight. 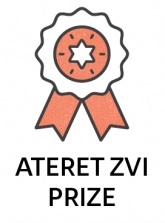 The winner of the Ateret Zvi prize will receive $4,000, with prize money also awarded to second and third place winners. The winning dvar Torah will be published by Hadar and the winner will be invited to teach the dvar torah in a public forum held in honor of the winning submission. Travel from abroad is not covered for this purpose and prize money will need to be directed to that. Full-time staff and faculty of Hadar, judges, and their immediate family members are ineligible to submit. Other exceptional entries may be published as well; Hadar reserves the right to share all submissions publicly once having notified the authors. The Ateret Zvi Prize is sponsored by the family of Rabbi and Professor Zvi H. Szubin. Professor Szubin studied at Yeshivat Chevron and received the smicha of yoreh yoreh, yadin yadin from Chief Rabbi Herzog. He served in the Israeli Army for three years, and was deployed to the Sinai during the 1956 Sinai campaign. After completing university and an LL.B. degree in Israel, he came to the United States and received his Ph.D. from Dropsie College. He taught at the Jewish Theological Seminary and the City College of New York and, ultimately, became the Chair of the Classical Languages and Hebrew Department at City College. Professor Szubin was a path-breaking thinker on a broad range of subjects, and authored numerous articles and works on subjects from agunah and mishpat ivri to the role of legal terminology in Jewish liturgy. His scholarly work focused on retrieving lost meanings and connotations of Hebrew and Aramaic terms through a careful study of ancient legal documents, and then refracting these new insights onto well-known texts to yield unexpected results. Professor Szubin was a supporter of Hadar, in particular its fierce commitment to traditional Jewish values and texts, its unabashed egalitarianism, and its promising efforts to energize thoughtful Jews of all ages. He is survived by his wife, Laurie Szubin, his children Lisa Szubin and Jay Katzman, Adam Szubin and Miriam Szubin, and his grandchildren, Leora Katzman, Jonathan Katzman, William Katzman, Nathan Szubin, Micah Szubin, and Josiah Szubin.